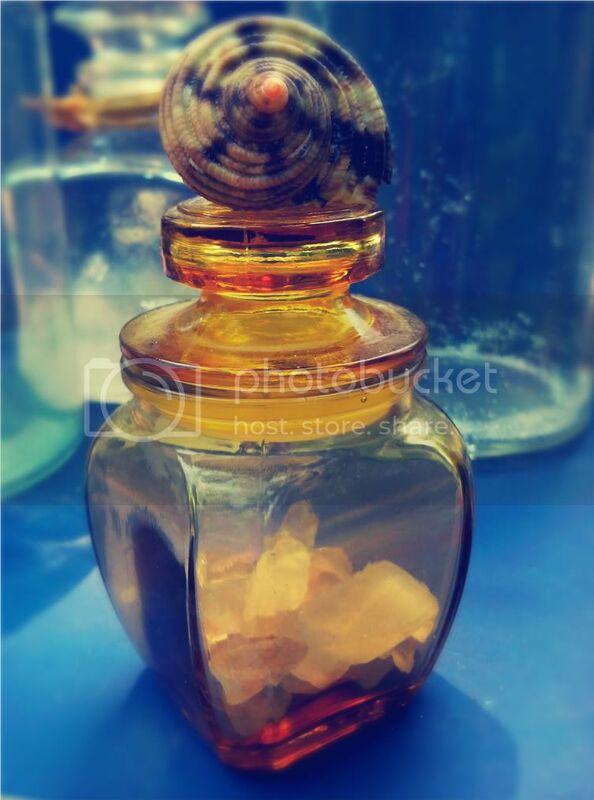 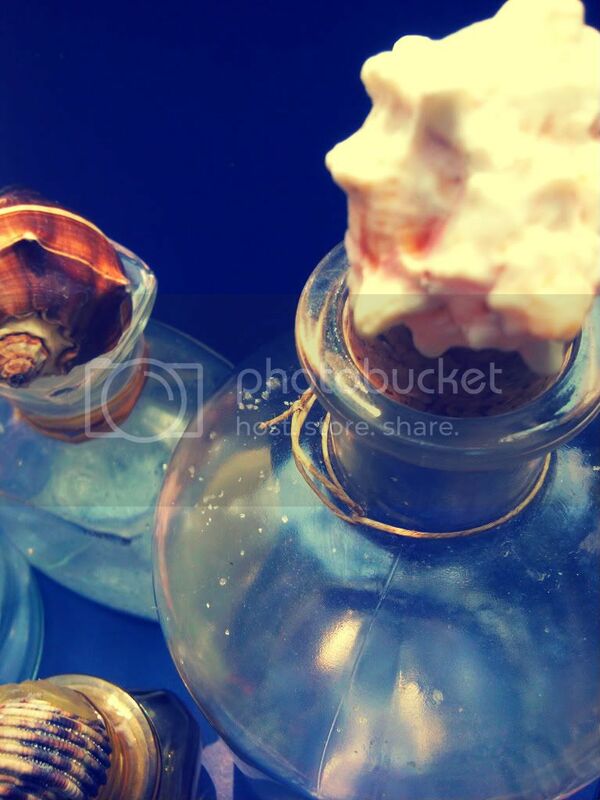 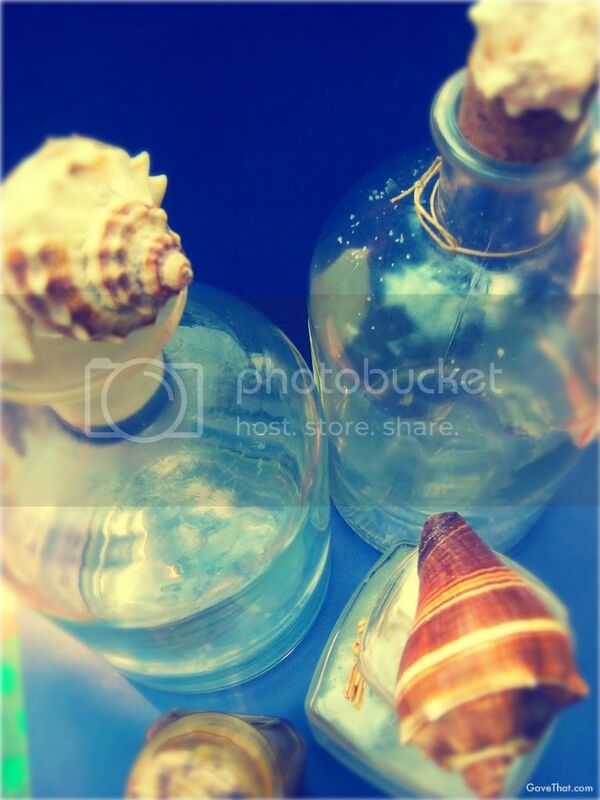 A menagerie of DIY sea shell topped glass bottles. 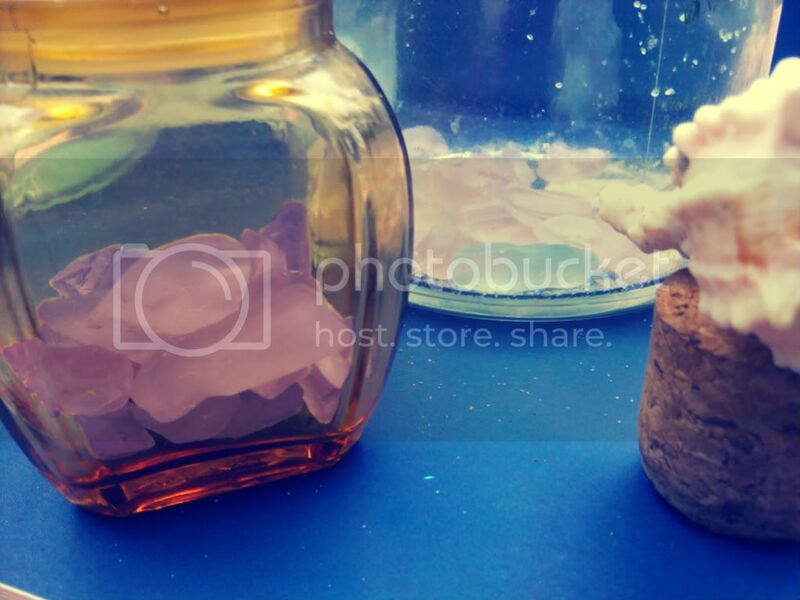 Adding colored sea glass or semi precious stones to gift bottles of bath oils, floral waters and diffusers. 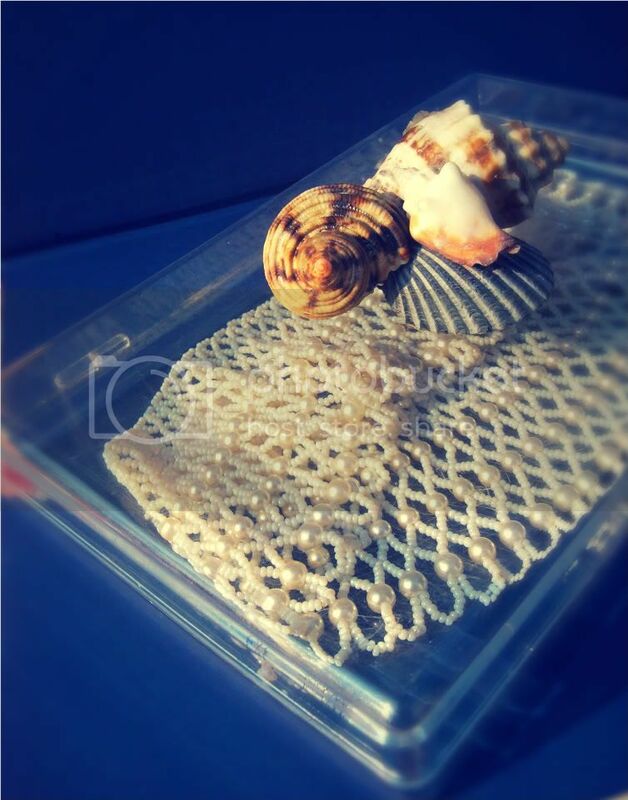 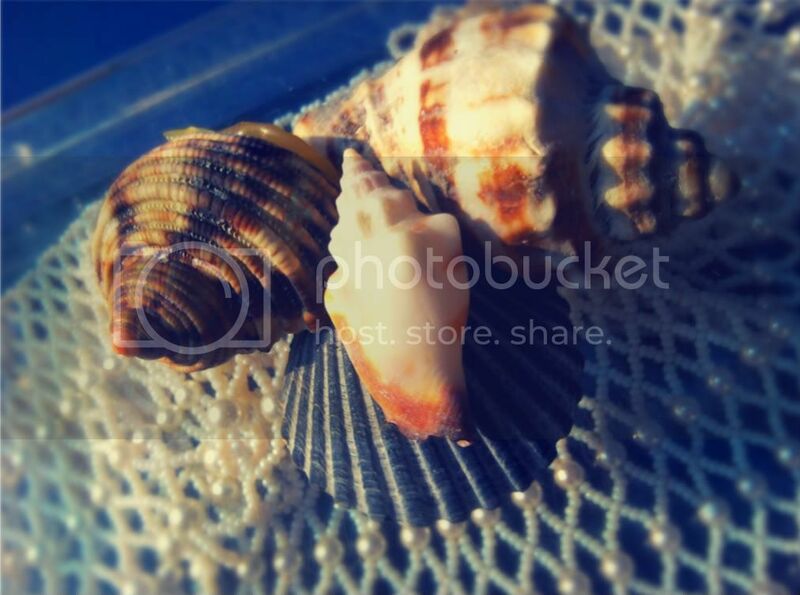 A vintage lucite gift box adorned with sea shells.